Since there are so many risk that is associated with being obese, weight loss have been in vogue for some time now. 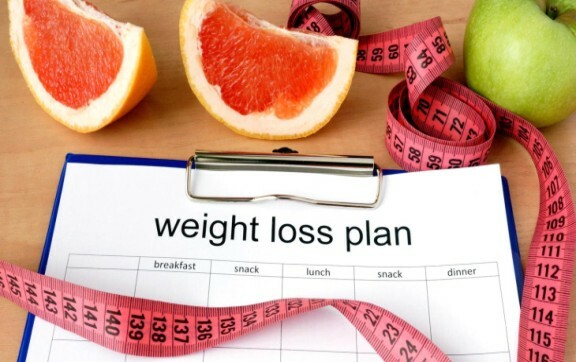 Many have enrolled in different weight loss plan and still, have not achieved the desired result, maybe as a result of failure on their own part to stick to the weight loss plan or their body not responding to the program as a whole. But still, the quest to lose weight continues. Many people lack the slightest idea on the best way to commence a safe and effective weight loss program. In this page, we shall be looking at some few valuable tips for a perfect weight loss program, and also maintaining of your health. Decreasing the size of your diet does not necessarily mean you should starve yourself. To contain the desired calorie intake, you can use a smaller plate in serving your meals. Yes, when the plate is small, you tend to eat less, and at the end you consume little amount of calories too. You can also play a trick on your mind by using shallow large surface meal dish, it will make you believe that you are eating a lot more food than it seems, because you will be viewing the large-sized plate. If you want to lose weight successfully, then it advised you stop drinking soda, including diet soda. Studies have proven that people who drink diet soda, tends to eat later than they usually do normally. Excessive eating negates a perfect weigh loss program. Not all fats are bad to our health, eating healthy fats are good and can assist in achieving a perfect weight loss. Polyunsaturated fats and monounsaturated fats are known to be the healthiest types of fats. Saturated and trans fats can only cause much harm to your body, so it is better you stay away from them. Good fats are found in nuts, sea foods, almonds, and oils such as olive oil. A regular consumption of these types of foods can help you achieve a perfect weight loss and still maintaining your health. If you have a really strong desire for food and you are finding it difficult to overcame it, try distracting your minds with other useful things, engage in recreational activities, take a nap etc. You can also chew gum in order to trick your cravings. The next time you feel like taking a snack, just stick a gum into your mouth and chew, it will be of help, because the taste and movement of your jaw tricks your body to have the feel as if you are eating. Frequent drinking of water is another good method of tricking hunger. By doing all this, you are physically unable to satisfy your cravings for food, it will also help in weight loss. Exercise is a major component in any weight loss program. Including work out in your daily activities is sure means of achieving fast losing of weight. You can start with a few walk, then you progress to running some few distance. Ensure that you do this periodically to achieve the desired result. This will look like a funny task, but it sure helps. Try to keep a food diary because it is an excellent way to track exactly what you are eating and how you feel after eating them. Anytime you finish a meal, input in your diary the time of the day, your mood and what exactly you ate. This will assist in tracking what exactly you place in your mouth, and also help you to decide if the eating frequency is high. There are many tables and graphs you can find online that can assist you in the checking of your daily progress. You can keep yourself motivated by also taking pictures of your achievements and progress rate. Regular drinking of water helps in increasing our metabolism, cleanse our body from waste as well as acts as appetite suppressant. On a normal circumstance, it is advisable to drink at least 3 litres of water in a day. Sticking to weight loss program might be difficult, but it is proper to adhere strictly to them because you actually have a target and purpose. Try to resist any temptation, especially those from food cravings.